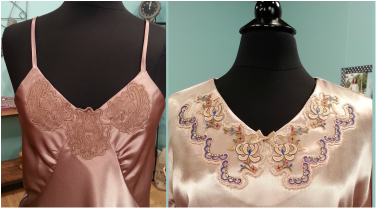 This FREE Fabric Tip Sheet is a companion to the project and instructions presented on It's Sew Easy Episode 906-1.This episode features machine embroidered lace with a focus on lingerie. My featured fabric is Crepe Back Satin. This is a wonderful fabric both for sewing and embroidery projects. This tip sheet includes valuable links for supplies used in the project. CLICK HERE to login to the show's website for additional information. Click on the Adobe pdf icon below to download Your Free Fabric Tip Sheet. Would you like to watch It's Sew Easy Episode 906-1 again? Click on the image below. Enjoy!